TOMO is a modern golf apparel company based out of San Diego announced its launch with the release of TOMO Vol. 1. This spikeless golf shoe is fashionable and lightweight, boasting style and comfort at a price point under $100. TOMO Vol. 1s have a water resistant, soft, single-layer of knit to enhance comfort and breathability. TOMO shoes are extremely light and made with FLEX technology, which can’t be found in any other golf shoe on the market. FLEX features the use of different densities of polyurethanes inthe shoe soles, offering wearers grip, traction and comfort, while being resistant to wear and tear. 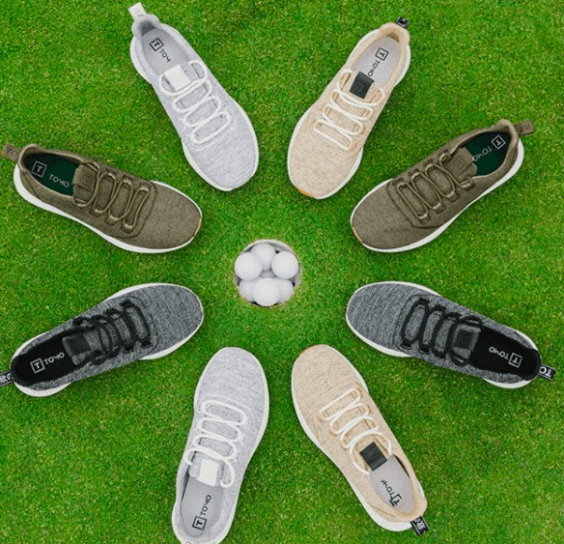 Founder, Sunny Chou, spent more than two years researching materials and over a year in the design phase, envisioning a golf shoe that would transition seamlessly form the golf course to just about anywhere. He was committed to designing a shoe that was fashionable and functional with a simple, urban style. TOMO Vol. 1 colorways include Concrete, Stone, Forest and Sand, and the shoes are offered in men’s sizes 8.5 to 12. The shoes are currently available online. Customers can expect to receive their shoes in a box comprised of 100 percent recyclable materials for $89, less than $100 when shipped within the United States.